To show text for the above video, please make sure the ‘CC’ (closed caption/subtitles) button is clicked near the lower right of the above screen, once it begins playing. Whispers From The Tomb is the story behind the fascinating Rae Room tomb in Portland, Oregon. The Rae tomb is a magnificent structure and the backdrop for mystery, romance, history…and all of it true. Elusive answers surrounding those in the tomb took years to uncover. Follow along as the author reaches back in time to finally provide long-awaited answers about this magnificent structure and the people inside. 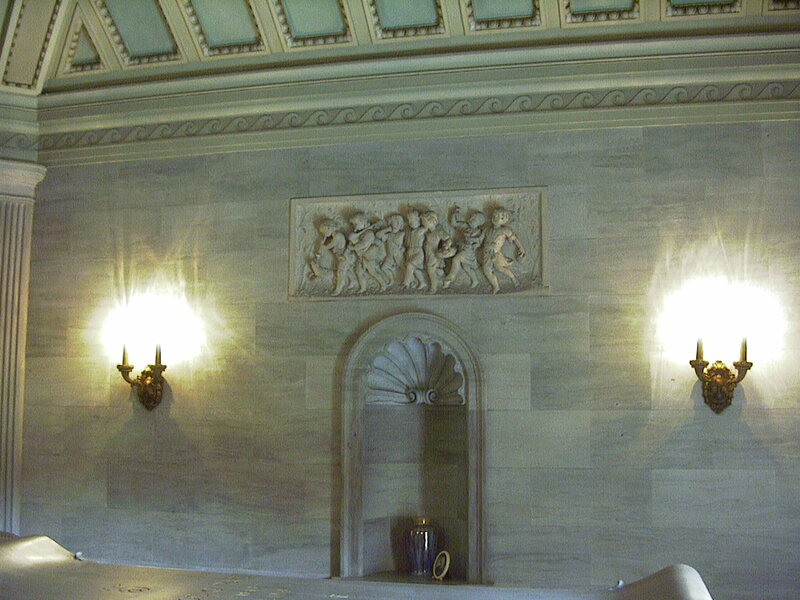 Opened to the public once each year on Memorial Day, the Rae Room tomb provides a rare glimpse into life from another age. An investigation of the fascinating story surrounding its construction reveals romance, regional history, fabulous wealth, and a legal battle all the way to the Oregon Supreme Court. Or in other words, it’s a true tale of love, lumber, lucre and lawsuits. 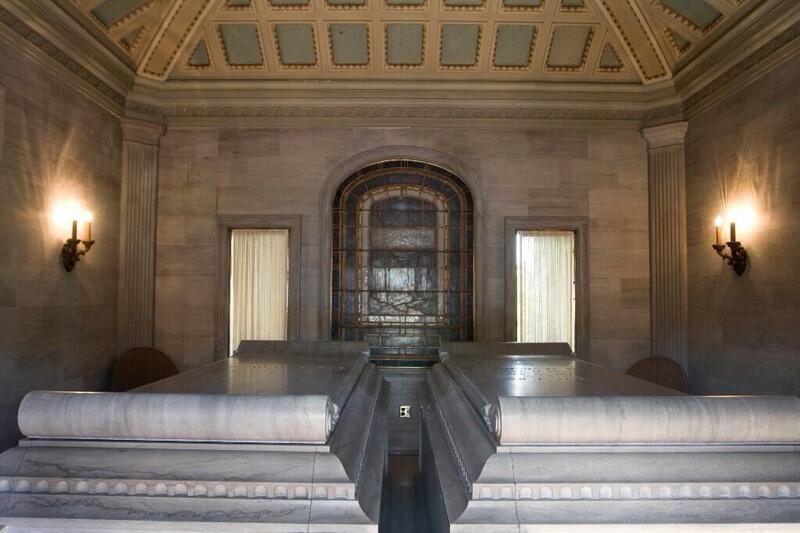 The tombs are made of solid marble carved in Italy and encased solid bronze caskets. 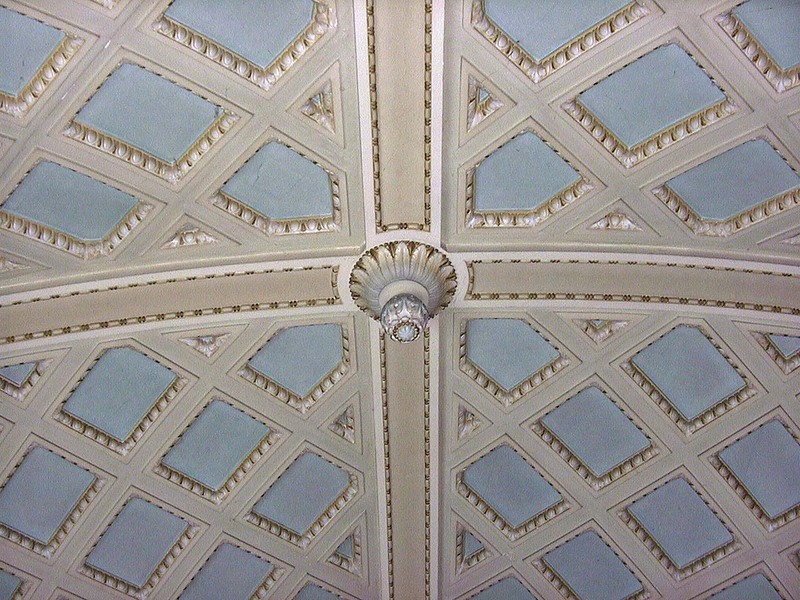 The structure is comprised of solid granite, with the ceiling handmade. This true, nearly forgotten story appeals to people for many different reasons. In the end, it is about timeless love. Do you have a photo, question, or interesting information to share about the Rae Room? Please feel free to contact us using the form below. Roy signing copies of his non-fiction book 'Whispers From The Tomb' on Memorial Day.